Bob Fleshner realizes the power of story-telling and presentation dynamics, and he parlays his colorful background – including nine years with Ringling Bros. Barnum & Bailey, nearly five years as division CEO/President for a Fortune 50 company, a stint as a management consultant, and over 10 years running his own health and fitness company. Sharing stories in an enlightening and entertaining fashion, he is an instructive as well as motivational speaker, with anecdotes that are rich in lessons learned as well as career and management tips. Circus Days – How do you Prepare for the Unpredictable? Speaking fees are typically charged per engagement. 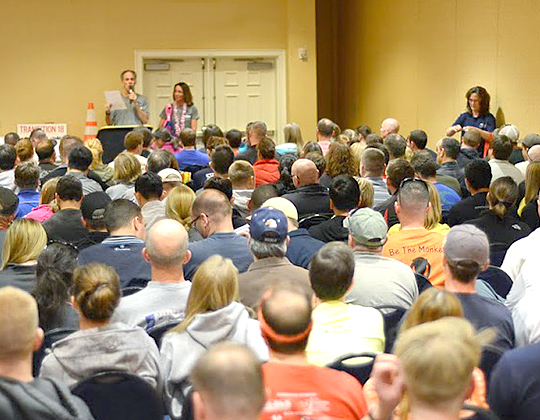 Bob addresses participants before the 2015 American Odyssey Relay.